THE FINBARR PUBLISHING CLASSIC IS FINALLY BACK! HERE IS GENUINE SATANIC MAGICK FOR GAINING THE BLACK MAGICIAN'S OBJECTIVES! This book is chock full of specific detail for success in so many areas, figuratively and literally. A few examples: Anything to do with farming... locations of buried treasure and gold... power over creditors... power over those in authority... separating other people... inflicting or cursing disease...power over bankers and loan agencies... real estate; buying and selling of property... the list truly goes on and on! Anything to do with holidays... anything to do with construction; building... abolishing another person's dependency on narcotics... ending sickness... AND MUCH, MUCH MORE! HERE IS SATANIC RITUAL SIMPLIFIED... WITHOUT THE NEED FOR COMPLICATED CEREMONY, EQUIPMENT AND THE REST OF IT. Carl Nagel, author of many occult books, regards this title as the 'culmination of his life's work'. 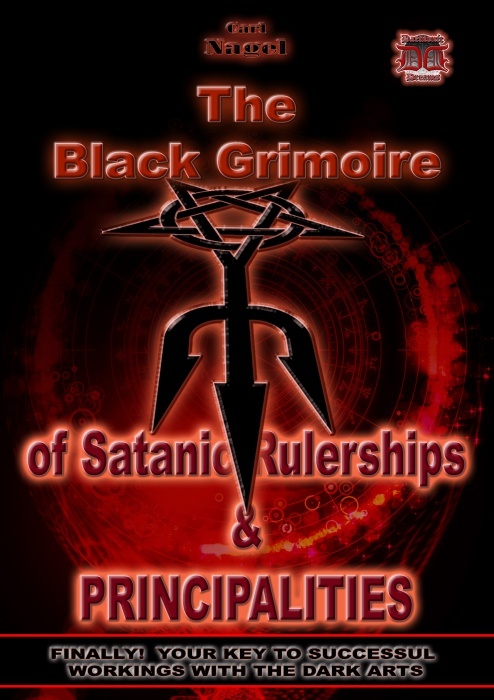 WE REPEAT: THIS IS THE ONLY BOOK ANYWHERE TO REVEAL THIS HIGLY SOUGHT-AFTER INFORMATION: THE NAMES AND OFFICES OF THOSE BEINGS WHO CONTROL THE THINGS YOU SEEK, AREA BY AREA. IF YOUR LOCATION IS NOT LISTED, DON'T WORRY, FOR THE AUTHOR EXPLAINS WHAT TO DO. You can get what you want wherever you are now.